Workshops at the Media Architecture Biennale comprise a wide spectrum of disciplines and topics of interest: They provide an opportunity to discuss and explore various areas of Media Architecture design and research within a group of designers, researchers, artists and practitioners from industry and academia. Participants will spend one day or half a day with experts from the field and express their experiences through structured and unstructured interactions. For full day workshops please attend the registration desk on Thursday at 9am and for half day workshops at 1pm to receive further information.  The workshops will take place in various places in Aarhus on 15 November 2012 and are open to all Media Architecture Biennale attendees. See the full list below. One of the workshops is a Doctoral Consortium for PhD students. It is already fully booked, but you can read more about it here. Click here for a map of workshop locations. One of the main characteristics of Media Architecture is its prominent visibility within the city. Many examples serve as visual landmarks within their individual urban settings. However, public reception tends to be ambiguous about content or reasonability of media architectural display. Opportunities to engage with stakeholders, locals, communities or passers-by to learn more about their views, knowledge or experiences are rarely taken up. 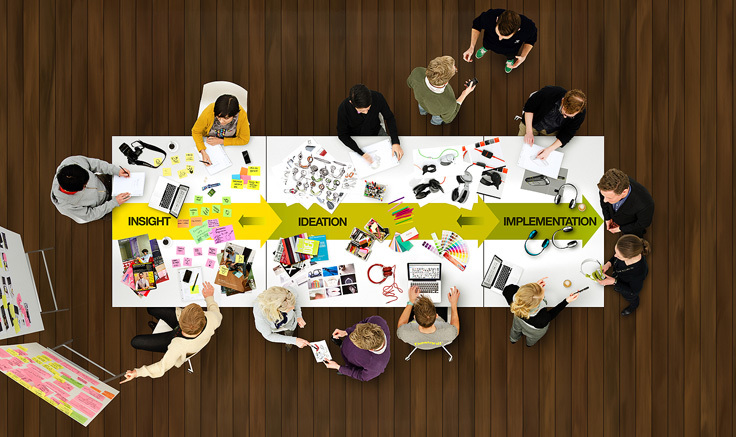 The workshop focuses on ideation and prototyping techniques for early involvement and activation of stakeholders. We will look at co-creative design methods and how to apply them to generate relevant content for media architectural applications. The workshop structure intertwines a series of thematic inputs on experience design, participatory design research and interactive prototyping tools with a set of hands-on explorations. In small groups we will be applying the methods discussed and bring them to life using low-tech tools as well as fast vvvv prototyping. A collective review phase gives opportunity for reflection and comparison of outcomes. The workshop is laid out as an active starting point for participants to explore inclusive design methods for prototyping architectural media scenarios. Low-tech activation as well as digital prototyping techniques are being applied. The workshop’s interdisciplinary nature is also intended to initialize collaborative links between participants, beyond the actual event. Kedlen at Godsbanen (main conference venue). Click here for a map of workshop locations. 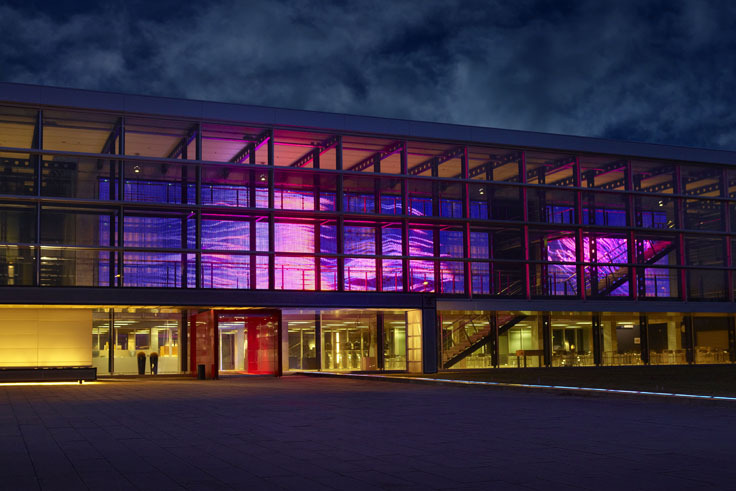 Architects have utilized Media Architecture as a means for allowing them to enhance their design concepts through embedded lighting technology or pneumatic displays. However, some seem to overlook the interactive possibilities and qualities this medium can offer beyond pre-produced and generative content. 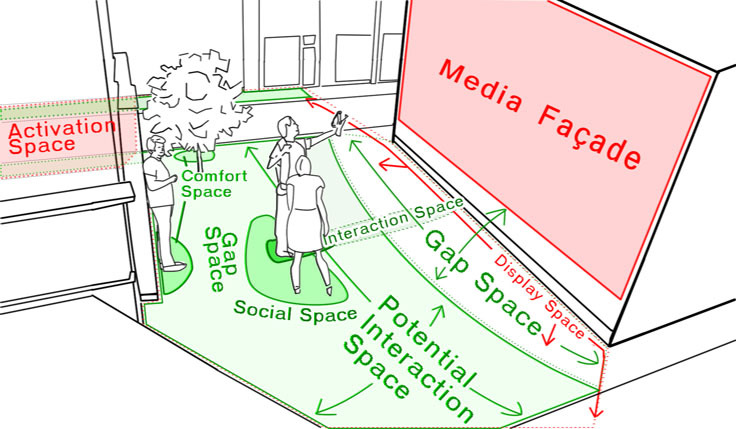 On the other hand creating interactivity in conjunction with media façades seems generally difficult especially due to their spatial dimensions. In this workshop participants learn how spaces in front of the façade can generate different types of interactions. 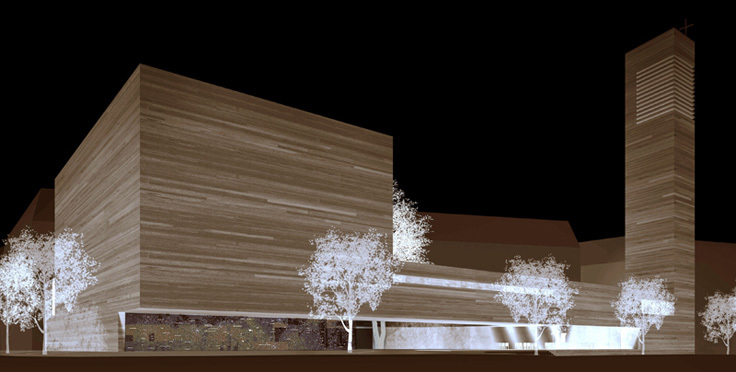 An exercise based on a spatial model, helps participants to understand where exactly the imbalance between human, interface, and the medium of the façade is created. Analysing the space usage of various interactive media façades types, deployed all over the world, will reveal advanced instructions of making interactivity work and compensating the scale problem. This knowledge can be put into practice by content creators as well as planners of media façades. To put theory into practice, we will visit a local media façade where the participants will review the concepts experienced during the workshop. IT Park Katrinebjerg (Schön Building). Initial meeting point is the registration desk at Godsbanen at 09:00. This workshop will celebrate an experimental practice and, through 1:1 scale experiments in the wild, develop new knowledge in crafting interactive lighting scenarios, that are both beautiful and time efficient to realize. During the workshop participants will develop multi-user interaction scenarios for urban lighting and, through simulations on architectural models, test different designs. The final outcome will be displayed in the city of Aarhus on a 1:1 scale model and thereby turn the public space into an ‘urban laboratory’ while allowing the participants to observe and evaluate social, aesthetic and energy related qualities of different responsive lighting designs. Spor 4 and The Yard at Godsbanen (main conference venue). Click here for a map of workshop locations. The newly formed Connecting Cities Network is discussing the potential of a networked infrastructure of Urban Media Façades. What are possible scenarios to bring local scenes and neighbourhoods into exchange? In the context of ‘Reclaim the Screens!’, the workshop will investigate a highly visible medium for participatory and networked purposes. Vogn 2 at Godsbanen (main conference venue). 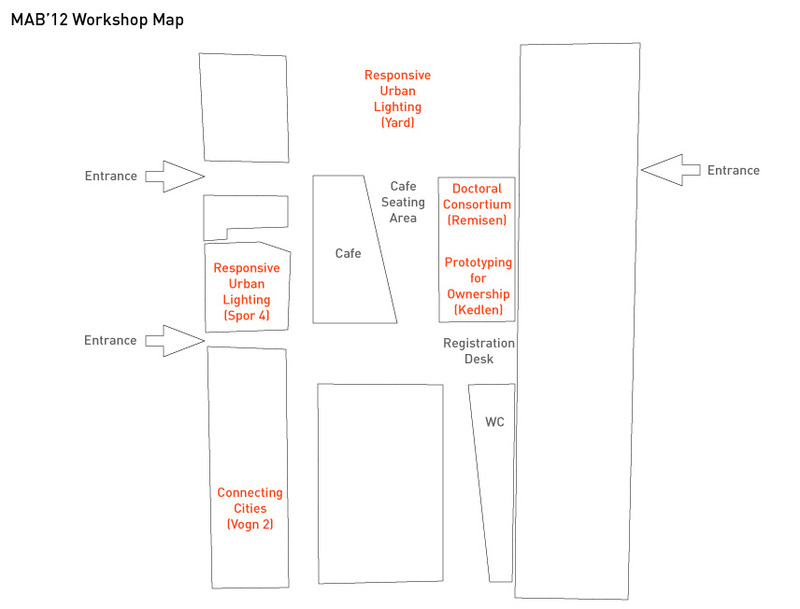 Click here for a map of workshop locations. At Martin Professional we try to deliver unique and differentiated solutions as the result of a deep involvement in, and careful analysis of our customers needs and business drivers. What we deliver and how we do this is perceived as the reference for the market. However… doing this would be close to impossible without good Collaboration Partners. Martin Professional is not a design agency, we are a manufacturer of products and we want to and need to work with strong minds outside our company. In this afternoon session we will bring you through our process on how we do and to what level we are involved. To assist us on the workshop we have invited one of our strongest partners named KOLLISION. They will co present the afternoon. You will also get a chance to go behind one of our latest projects, currently being installed in London. The afternoon will finish with a presentation of the ALIVE project, which is a 180 sqm. media facade permanently installed at the Martin HQ. This session is limited to 90 participants. Martin Professional HQ. Bus leaves from Godsbanen at 13:30 sharp. Meeting point is the registration desk. This workshop will crossbreed artistic practice and applied theory in the context of Media Architecture and digital media related arts. Based on the artistic work of “Sound Tossing” by Reinhard Gupfinger (www.soundtossing.com) and the curatorial practice of Georg Russegger for the “Coded Cultures Festival / City as Interface” (www.codedcultures.net), the workshop will explore a hands­‐on experience on ad­‐hoc data interventions in urban environments. Coming from the idea of Sound Tossing the one­‐day workshop offers a way to play with urban connotations and aesthetics through adding unique acoustic data to urban space. The workshop delivers backgrounds of artistic interventions coming from public art, street art and mobile art, relating them with contexts of urban media architecture. The practical part of the workshop includes the selection and production of suitable data for this kind of intervention and the assembling of the acoustic devices. A city walk to apply the outcomes within the urban playground will follow the joint reflection on data for the devices and the placement of them. The intention of the workshop is to reflect on contemporary media based developments in the architecture of urban space. The chosen format tries to emphasize the role of artistic practice in public space and how this humoresque, critical, surprising and playful applications and devices form new ways of reflecting creative media technologies and urban interaction culture. For the practical part no previous technical knowledge is required. There is an unspoken taboo about media interventions in sacred architecture and secular buildings from different cultures all over the world, which is presumably the reason that only few examples of Media Architecture in this field exist. The workshop addresses questions such as: What kind of meaning might a contemporary artist or designer apply for a media façade in conjunction with sacred or secular architecture? How far can the artist go to stretch out the historical, social, and political framework for these specific buildings, in order to implement media interventions? Which visual tools are available to the artist to develop adequate solutions? Under consideration of these questions, participants of this workshop will create speculative solutions for a chosen sacred architecture. The goal of the workshop is to synthesise the proposed solutions as well as personal statements and discussions into a shared vision for media interventions in sacred or secular architecture in a global cultural context. Most businesses, institutions and organisations have huge embedded potential for being innovative and help shaping the future instead of waiting for it to happen. Design thinking – problem solving with a creative edge – is being widely adopted as the key to solving some of the big problems our society and economies face: Rethinking, reimagining and recreating sevices and products to the better. Join Designit, Europe’s largest and most international strategic design consultancy, in a tour de force of cases, methodologies and mindset.